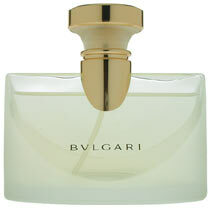 Bvlgari was created by Bvlgari in 1994 and is recommended for evening wear. This feminine scent possesses a blend of violet, orange blossom, and jasmine. A transparent and sensual fragrance with unique notes of Sambac Jasmine Tea, Mimosa and Prelude Rose.